Our latest project custom made stainless steel tray or box with holes and corners welded and cleaned. To order sheet metal that turns into a custom made tray, box or even a hat channel is as easy as 1-2-3. The customer requested about 30 units but also requested that the tray box would have holes he had specified. Online you can order any shape or form be it a tray box or a hat channel, rectangle or circle, angle or corner guard you can specify the size and the quantity. 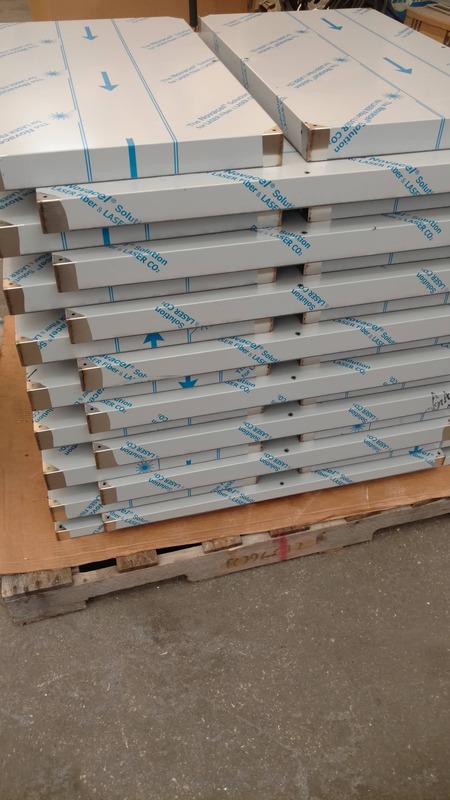 MetalsCut4U is targeting the retail customer so you the home owner, the handyman or the DIY enthusiast who needs one particular piece of metal cut, bend and or welded out of sheet metal plates. 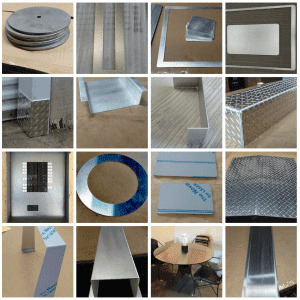 You can choose from stainless steel, aluminum or mild steel sheet metal in different thicknesses and finishes. You can choose from 14 different shapes and get a price and order online. If the shapes do not fit your purpose you can also send us a drawing and we will be happy to evaluate what you have drawn up and provide you with a free quote. Remember one offs are our business and if you need 1 or many it does not matter to us. Try it right here you will be amazed how easy it is. Here are the shapes and forms you can configure online.